Next story in Faith in America Can Catholic elementary schools survive? John H. Tyson, CEO of Tyson Foods, says, “My calling and my responsibility was to create an environment of permission for people to live their faith.” In the background is the Rev. 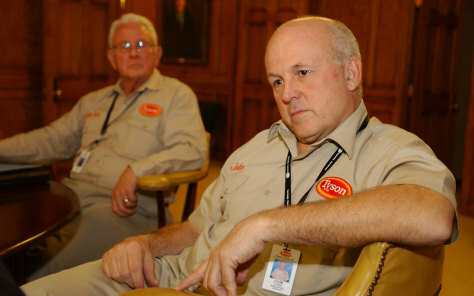 Alan Tyson, who oversees 109 chaplains who work for the company.